Smallholdr is a cloud-based software as a service (SaaS) application developed in 2015, powered by the Revel Engine, which itself has been in development and use since 2011. 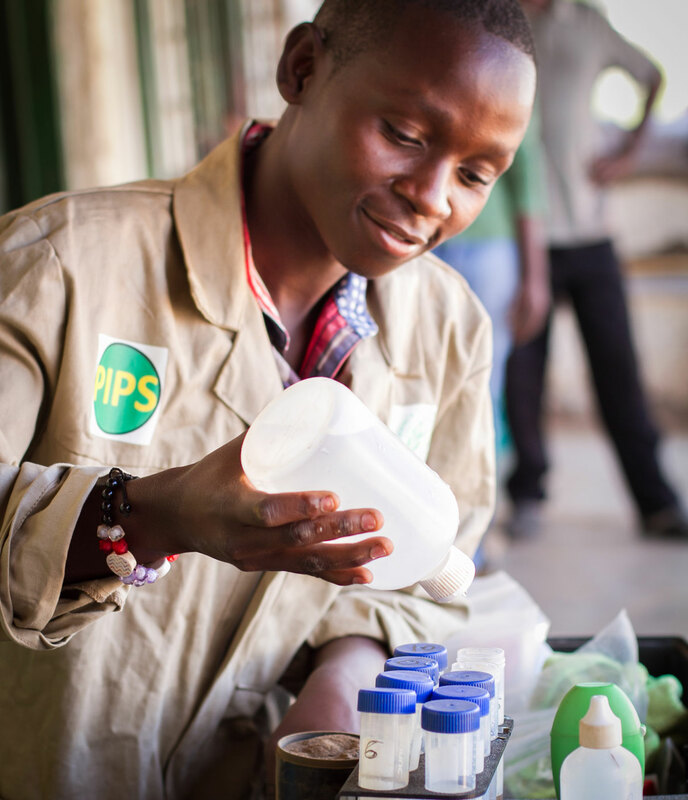 We co-create solutions with clients to optimise the way in which they work with smallholders. We take the time to really understand what you need and design and implement systems that will not only streamline your operations but have the flexibility to add new features in future. Smallholdr makes management of remote extension workers easy: tasks and surveys can be designed on an easy to use interface and allocated directly to the Smalholdr Mobile App on workers’ tablets. 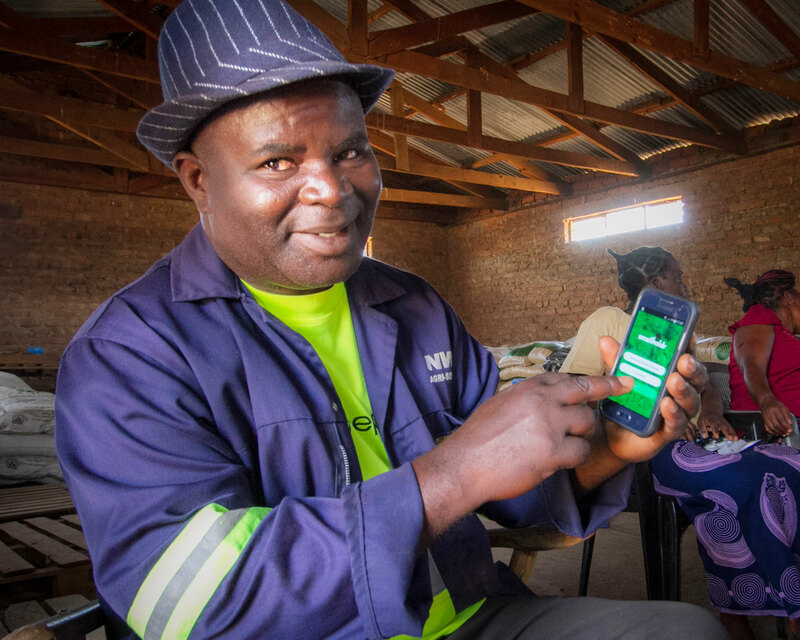 The App has been designed to work in rural environments to make data collection as easy and efficient as possible. We address the challenge of unique farmer identities by using a variety of technological solutions. We set up a database that models the key ‘entities’ that matter to you – whether it be maize yields, rainfall data or farmer incomes. Using QR codes we can help you tag and track produce up the supply chain “from farm to fork”. Our system can also be set up to manage transactions such as input loans and purchases, automating calculations and payments. We can create links to your internal systems as well as to other apps – such as mobile money – for business process efficiency. We design web-based Smallholdr Dashboards according to your needs so that managers can view real-time data and charts, download reports and conduct analysis. Extension workers can access and edit all information on their farmer groups. All users can search, filter, download and edit data according to their access privileges. Lastly, communications and training materials can be integrated with our Mobile App to enable better extension advice to farmers. These can be geo-linked or include optimisation tools for advanced advisory services. Design new surveys using our easy to use Survey Builder tool. These surveys can then be shared with selected extension workers, along with instructions on the number of data sets to collect and the time period in which to do this. Extension worker tasks and performance can be monitored on the Smallholdr Management Dashboards to keep track of how field work is progressing. Managers can also use the system’s in-app notifications which can send alerts to one or many extension workers. The App can be installed on any Android phone or tablet. An intelligent user interface speeds up data entry and user input errors are reduced by automatic ‘in-line’ validation. We help you to design the App so that it is the best possible tool for your field team, e.g. minimising free text entry and using multiple choices where possible, chunking up surveys so they are not too long. GPS location functionality includes the ability to map field perimeters and media data (photo and video) can also be captured. 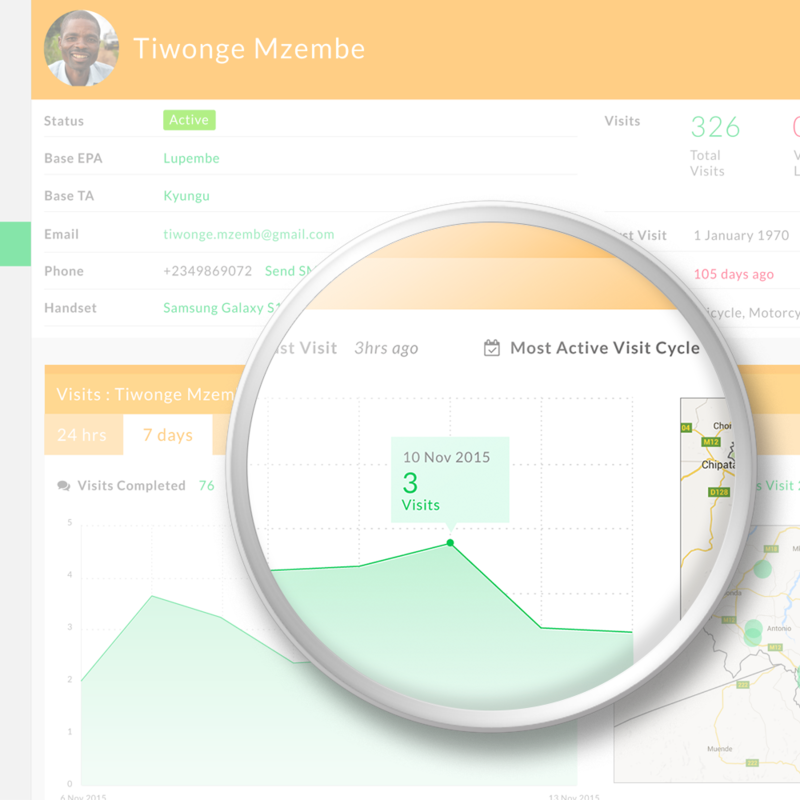 Even if there is no mobile data in rural locations, the App will store inputs until it has regained signal. 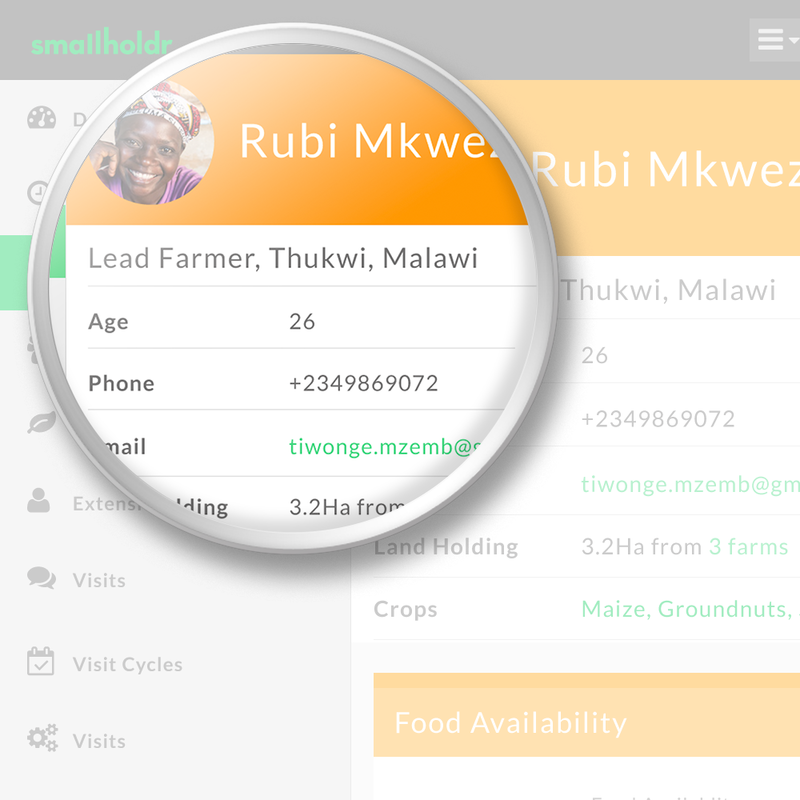 We design the App to store core farmer data so that extension workers can access key information to help them do their jobs even if they are offline. Smallholdr can generate unique ”QR codes” which can be printed onto cards or stickers. 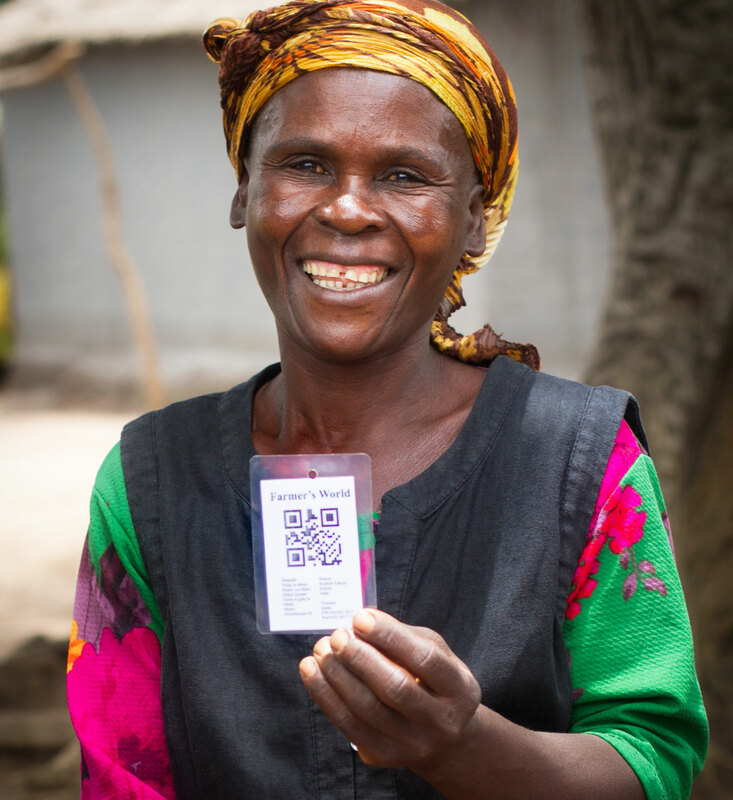 These codes can be used as identification or even loyalty cards for farmers. Training attendance, field visits or input sales for each farmer can be captured by scanning the code using the Smallholdr Mobile App or by POS devices. We can also integrate biometric technology for those seeking the most sophisticated levels of farmer identification – for example, Diamond Fortress’s ONYX software fingerprint solution. QR codes can be attached to boxes or buckets – or to any item that requires tracking. The location and content / status of these entities can be updated and tracked to provide real-time traceability. Lost cards or stickers can easily be replaced with new ones, and the QR code updated in the system seamlessly. Batch scans can be set up to reduce the time required to track bulk items. Smallholdr Dashboards are accessible from anywhere; they are web-based, responsive and customised to your needs. Different users access different Dashboards according to their needs and access permissions. We are constantly looking for ways in which new technology, business models or partnerships can improve smallholder supply chains. We have expertise in development project design and delivery and M&E as well our commercial activities. Can a digital soil map be generated to enable field workers to give more accurate advice to farmers based on their location? Given the large databases of farmers our system generates, can we work with microfinance institutions to use this information to de-risk loans? Can we develop optimisation algorithms to help advise farmers based on their plot sizes and crop preferences? Is there other information – e.g. about the environment / climate – that extension workers can collect while visiting farmer groups to inform planning? Where does blockchain bring new opportunities for reducing transaction costs in supply chains? If you are looking for a tech partner, or have a new concept in this field you would like to discuss, please get in touch!